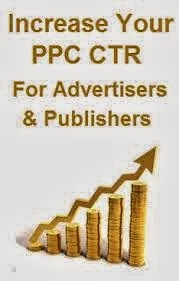 Click-through rate, or CTR, refers to the percentage of clicks an online ad unit receives per a number of impressions. For example, an online ad with 100 impressions and 10 clicks has a 10 percent CTR. When the CTR for ads promoting your business increases, more potential customers are introduced to the products or services offered by your company, which increases your chances for conversions, or sales. Many advertising networks offer customers network or ad unit specific tips for increasing CTR but several basic tweaks to your ad campaigns can also net an increase in clicks. Increase Traffic & Sales. Absolutely Free, Fast Installation! Choose the most specific keywords possible to advertise your product or service. For example, if your business restores vintage and antique photographs, avoid purchasing ads for relatively generic keywords such as "photo restoration." Instead, choose keywords that better illustrate your work, such as "cracked photograph repair," "stained photo restoration" or "repair burn-damaged photos," to grab customers looking for how to fix pictures suffering a particular problem. Maximize your ad copy. In a text-only ad, use a line such as "Buy now" or "Click here to find out more" to call readers to action. If your ad is illustrated, the call can be incorporated into the graphic or the surrounding copy. Add a photograph when possible. Some advertisements work better without photos, particularly when a relevant picture is not available, but if your business has a private or stock photo that aligns with the copy, use it. Incorporating a video or interactive component into your ads also provides the eye-catching appeal of a photo. Fill out every possible option when purchasing an online ad from a network. Most networks offer you the opportunity to personalize your ad with lines of text and photographs, and to list specific sites or content types where you prefer an ad to rotate. These options are best utilized after data from a previous or current campaign can be analyzed to determine if your ad units generate more clicks on a few niche websites instead of across the entire Web. Test different ads against each other. After you maximize a group of ads, rotate the ads through the same time slot to determine which ads work best at which time of day. With a high-performing ad in each time slot, your overall CTR should improve.